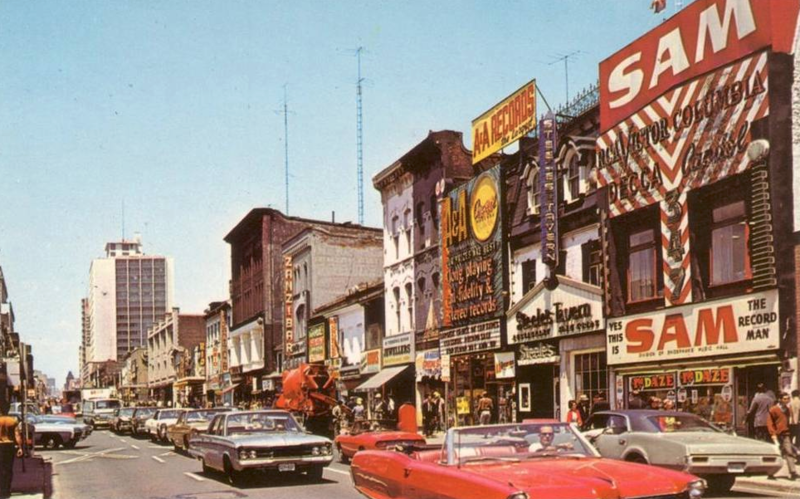 On a recent unexpected layover in Toronto I happened to see, hoisted high, high above a gloomy black glass office building in Dundas Square, this wonderful sign. 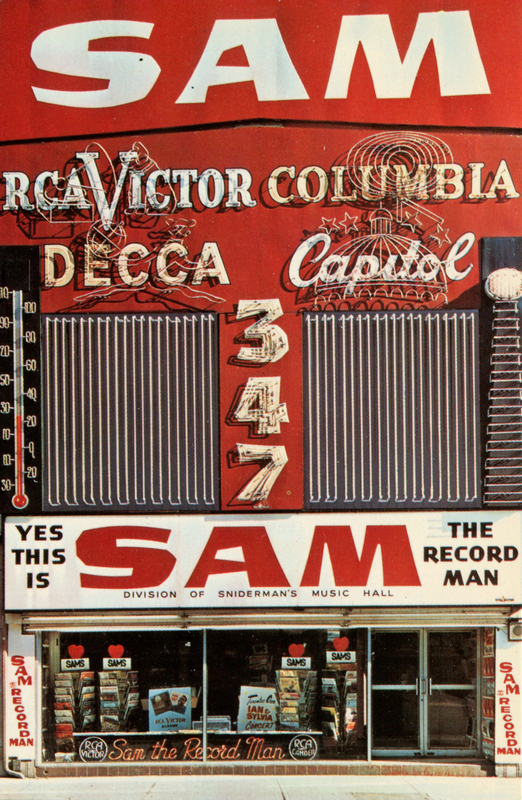 Double barreled neon flashing records proclaiming, twice, that YES, THIS IS SAM, THE RECORD MAN! 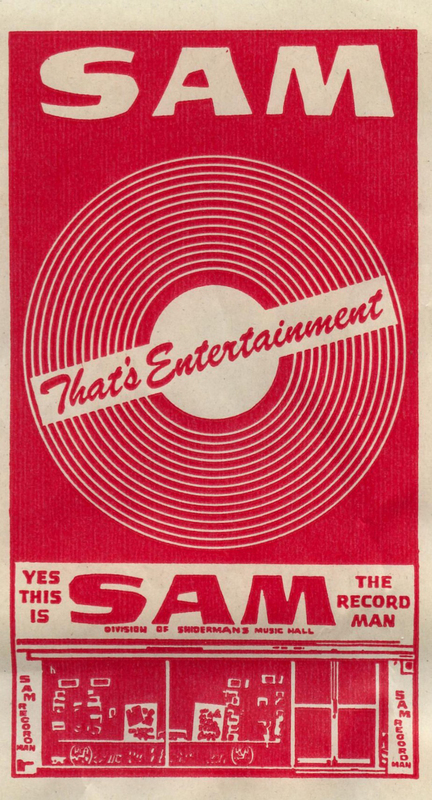 YES, THIS IS SAM, THE RECORD MAN! Wonderful! Wonderful! 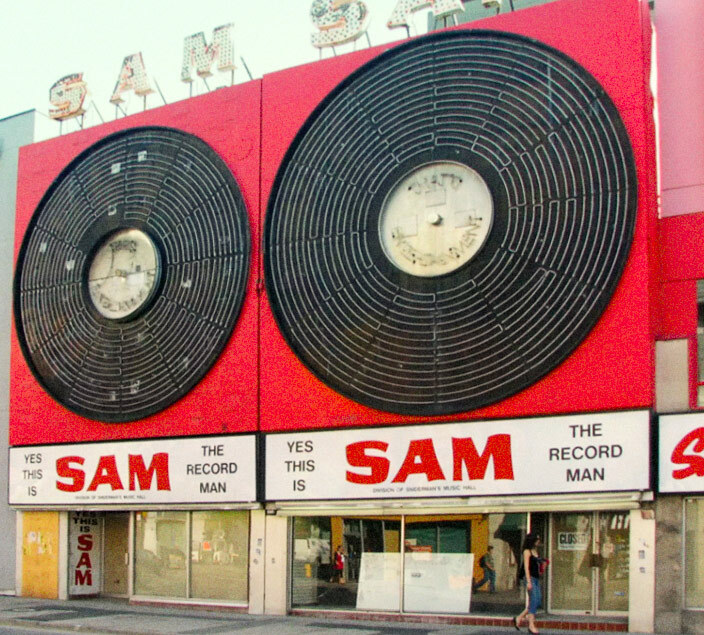 A little research revealed the legacy of a one proud Canadian record store chain – a blaring hybrid of Crazy Eddie and Tower Records. Sigh.